Ptosis is a medical condition that refers to a drooping eyelid. This condition only affects the upper eyelid and is not connected with the sagging of the lower eyelid. It is important to have this condition addressed because ptosis can lead to vision field impairment and cosmetic concerns. It is important to note as well that ptosis is a manifestation of an underlying medical condition that may also need to be treated. What conditions can cause ptosis? Ptosis is caused by a variety of factors that affects the muscles, the nerves, or the skin. Ptosis can result from weakened levator muscles that control the up and down movement of the eyes. Ptosis can also be a result of Horner syndrome, which causes damage to the nerves in the face and in the eyes. Patients who have diabetes and myasthenia gravis can also develop ptosis. Since ptosis is a symptom and not a disease, it is imperative that your doctor trace the underlying condition that is causing ptosis before performing surgery. How do I know if I have ptosis? If it is discovered that you are experiencing ptosis due an underlying condition, our team will discuss proper management of the disorder and will refer you to appropriate specialist for proper treatment. If the ptosis is being caused simply by weak levator muscles, then Dr. Totonchi may recommend eyelid surgery to help tighten the underlying eye muscles to help restore the normal appearance of the upper eyelid. 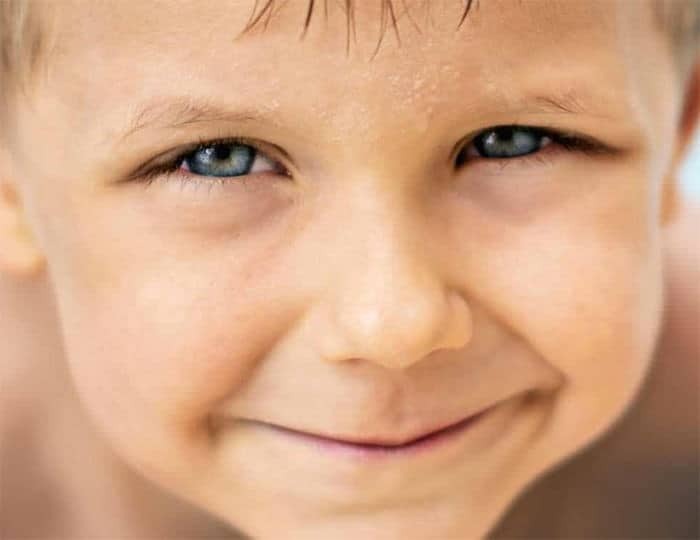 Pediatric patients who have ptosis often tilt their heads back to a chin-up position because they are trying to look past their drooping eyelids. There are also times when they raise their eyebrows in an attempt to lift their eyelids. If left untreated, this will pose a serious problem with the child’s vision and can result to deformities in the head and neck due to abnormal head positions over the years. Patients will first receive an eye exam to determine the degree to which ptosis is compromising or affecting the patient’s vision. Our surgical team will also conduct a number of screening tests to try to determine the underlying medical condition that may be causing the ptosis and recommend that the condition be treated first before surgery. A work up might be necessary to make sure that the ptosis is not being caused by any structural abnormalities within the face. What results can I expect following eyelid surgery for ptosis? Final results should appear within several weeks, but it may take up to a year for incision lines to fully soften into your eyelids’ natural creases. It is important to note that eyelid surgery is a significant procedure, and results are permanent. However, your skin and eyes will continue to age naturally and sun protection and proper skincare will improve the life of your results. 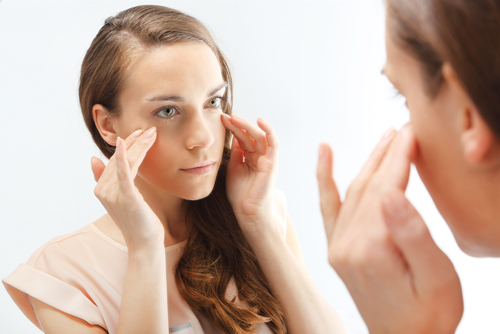 Are there any risks associated with eyelid surgery for ptosis? Eyelid surgery is an operation, and therefore risks are always involved. Cosmetic Surgeon Dr. Totonchi can help assess your situation and advise you of any concerns to be aware of prior to undergoing surgery. Potential risks associated with eyelid surgery include temporarily blurred vision, dry eyes, pain, swelling, numbness, skin or nerve damage, infection, blood clots, fluid accumulation, injury to eye, scarring, and bleeding.